The National Day of Prayer is Thursday, May 3, 2018. Although created in 1952 by a joint resolution of Congress, and signed into law by President Harry S. Truman in 1988, the law was unanimously amended by both the House and the Senate and signed into law by President Ronald Reagan on Thursday, May 5, 1988, designating the first Thursday of May as a day of national prayer. 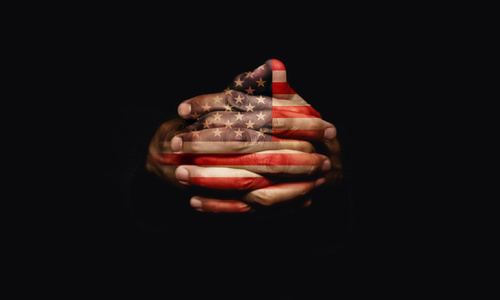 Why pray for the nation of the United States of America? If you live outside of the U.S.A., you can ask the same question regarding your country. Why does the Bible tell us to pray for the leaders of our country. From Romans 13, we are told that those in authority are given their place of leadership by the biblical God. He holds them responsible for how they govern. That doesn’t mean all those in places of leadership will be good leaders, but it does mean that God holds them responsible for what they do. Since leaders have such a tremendous responsibility to lead their country in the right way, which is impossible to do in their human strength and wisdom, the Bible urges us to pray for them to seek out the biblical God’s wisdom, guidance, direction. In the midst of our country’s deep trouble, then, the best thing we can do is to pray for our leaders. Jesus taught that we are to come to the Heavenly Father through Him – we are to ask, bring our requests to the Father in Jesus’ name (John 14:12-14). That means we need a personal relationship with Christ through faith in Him for our prayers to reach heaven and touch the lives of our leaders. Have you made that decision for Jesus Christ? (cf. Romans 10:9-13). If we know Christ as personal Savior, let’s bring our prayers for our national leaders in the attitude described in II Chronicles 7:14 – a humble attitude of repentance of our sins, asking God’s forgiveness, and then lifting up our leaders in prayer. The theme for the National Day of Prayer this year is unity – “Pray 4 Unity.” As this theme reminds us of the challenges and divisions in the U.S.A., may we hear from heaven as we pray for our leaders – that they will be convicted to lead our country in the way of righteousness, for righteousness exalts a nation, but sin is a reproach to any people (Proverbs 14:34). May we not just pray for our national leaders, as well as our state and local leaders on the National Day of Prayer, but may we pray for them every day! !